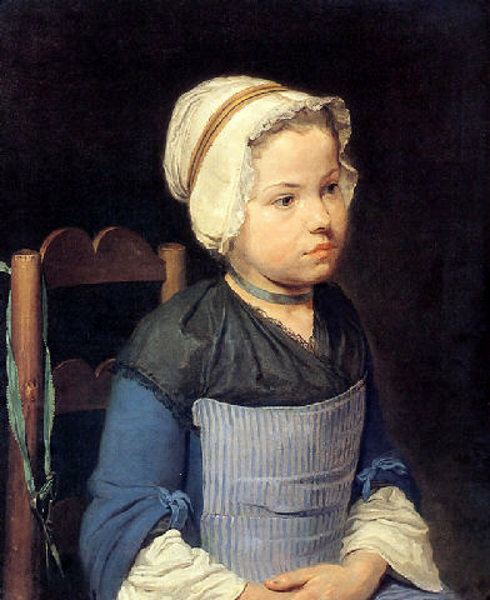 In English contexts, bib-aprons were a sign of youth; they were primarily worn by girls, but also appeared on maidservants. 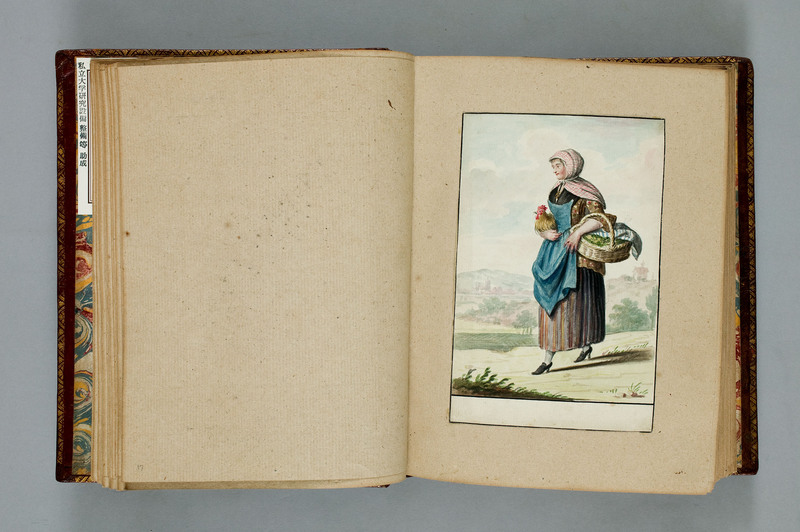 Grown women in Europe also wore bibbed aprons, but this seems to have been less common in England. 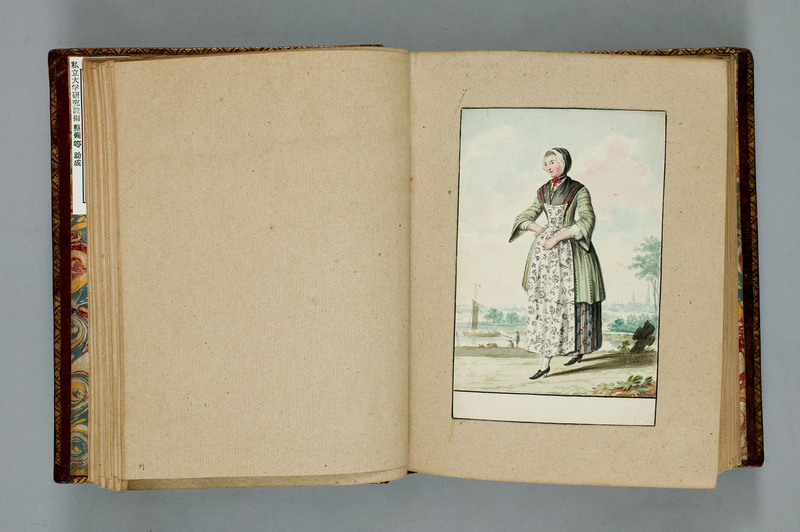 However, there are examples of black silk aprons worn both in England and in Europe. “LORD what's come to my Mother! And ſays I'm not in my Teens. 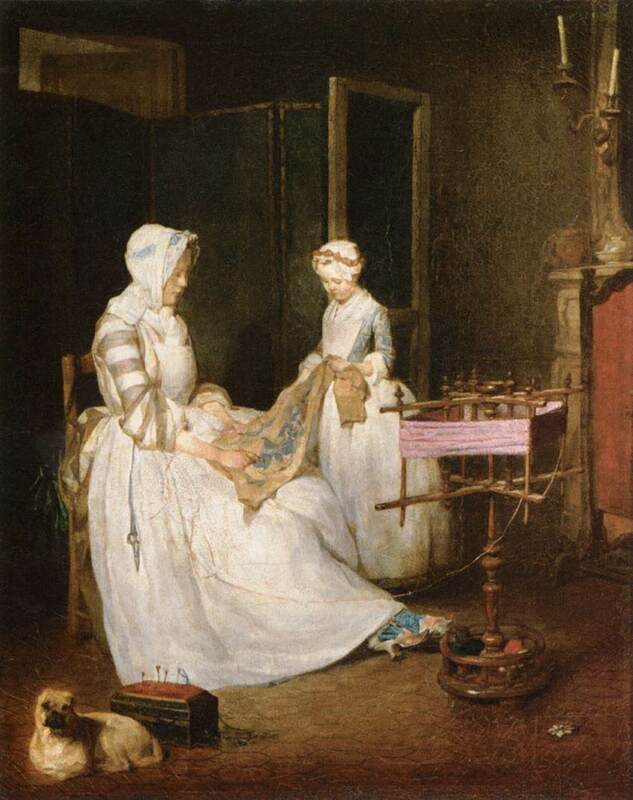 The general sense that bibbed aprons were restricted to the very young seems to have been limited to England; other adult European women wore this style of apron more often. 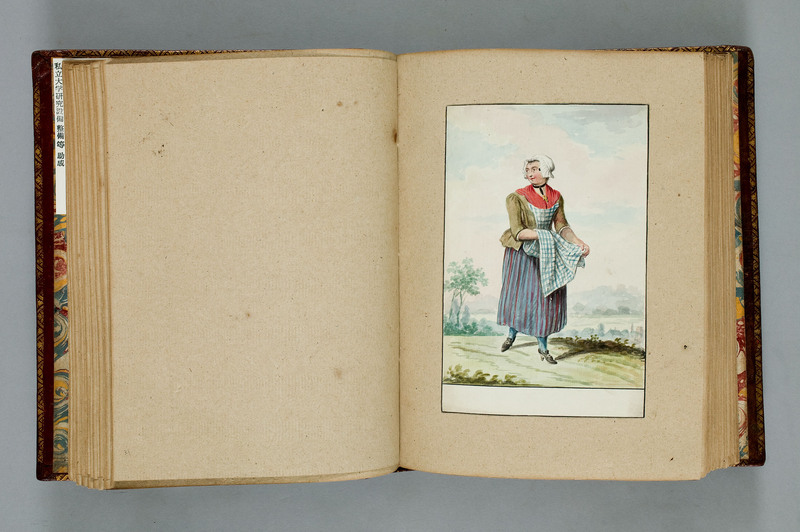 There are also extant cotton-print bib-aprons with floral patterns. 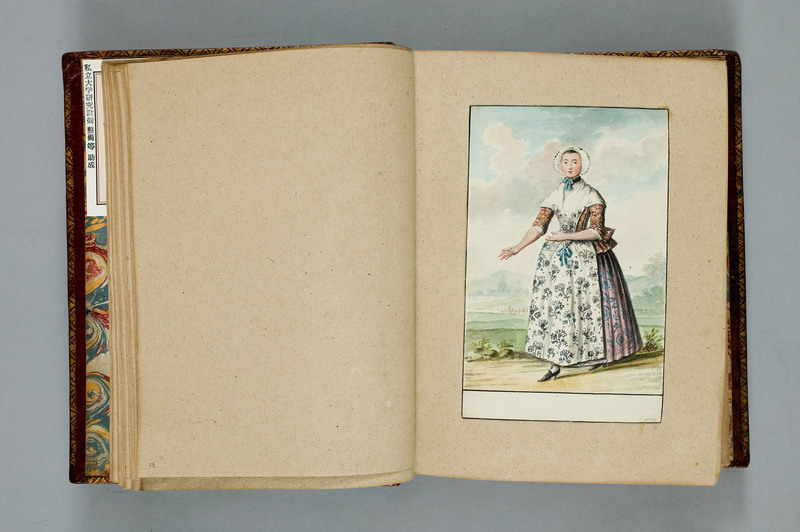 These resemble the floral-patterned bib-aprons in other illustrations of working-class women, such as the maid in the Concert in an Interior or #15 & #21 in a collection of watercolors c. 1775. These are also referenced in Anna Green Winslow’s diary (January 4 & 17 in 1772) and in a letter that Alice Lee Shippen sent to her daughter Nancy on November 8, 1777.